Four scenarios were developed in order to arrive at an optimal allowed sea use solution satisfactory to stakeholders and society. The narrative story lines of the scenarios are presented in four maps and a short document respectively. How to develop and use scenarios in MSP processes? What are the 4 strategic scenarios for MSP development in Latvia? 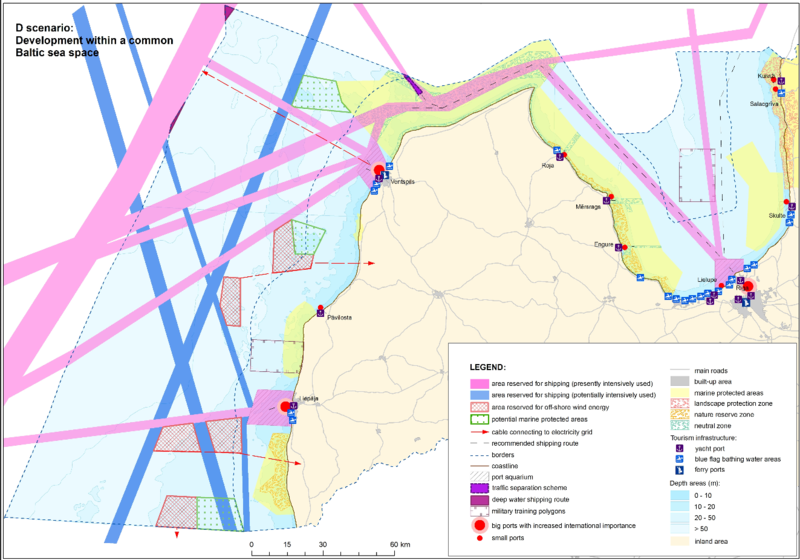 Scenario development method is applied in strategic planning and decision making process, when the possible spatial use is dependent from various, often controversial interests and sectorial priorities as it is in the case of the Baltic Sea area under the jurisdiction of the Republic of Latvia. Scenarios are neither predictions nor forecasts, but rather alternative descriptions (stories, projections, figures/pictures) on how the future might unfold by evaluating various factors determining the development. 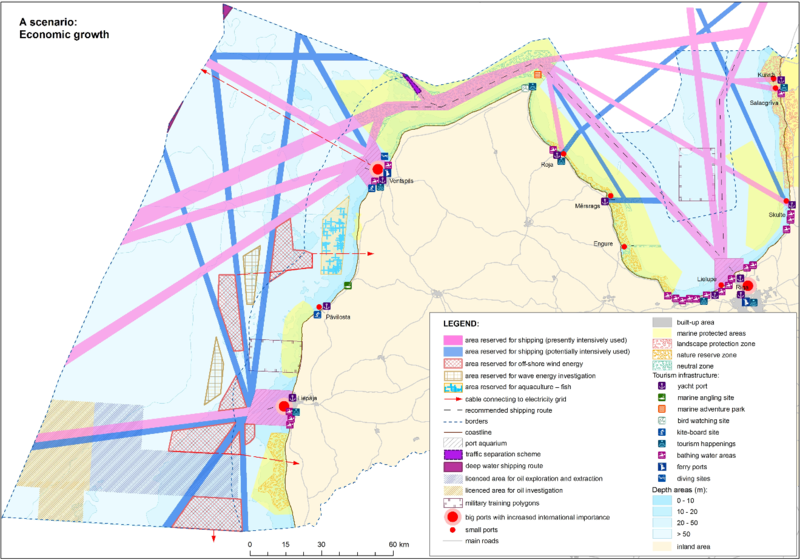 The Use of the Sea scenarios are built in order to identify possible maritime spatial development options (alternatives), to perform their strategic assessment and as a result to arrive at an optimal allowed sea use solution that is satisfactory to stakeholders and society. Key socio-economic and environmental indicators have been selected for characterisation and assessing implications of the scenarios. 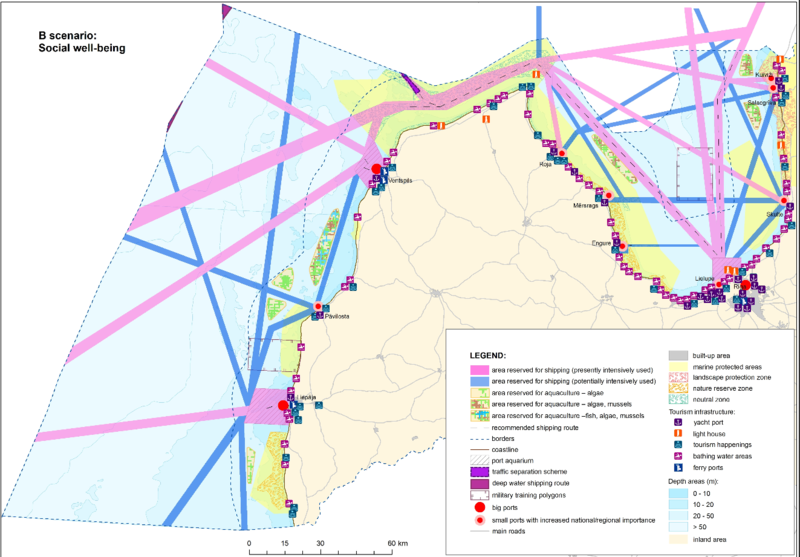 Based on assessment of the development trends in sectorial sea uses and natural processes, as well as taking into account expert opinion, assumptions on a change in trends for selected indicators were outlined for each scenario. The strategic assessment of the scenarios by SWOT analysis was carried out during three coastal regional stakeholder workshops. 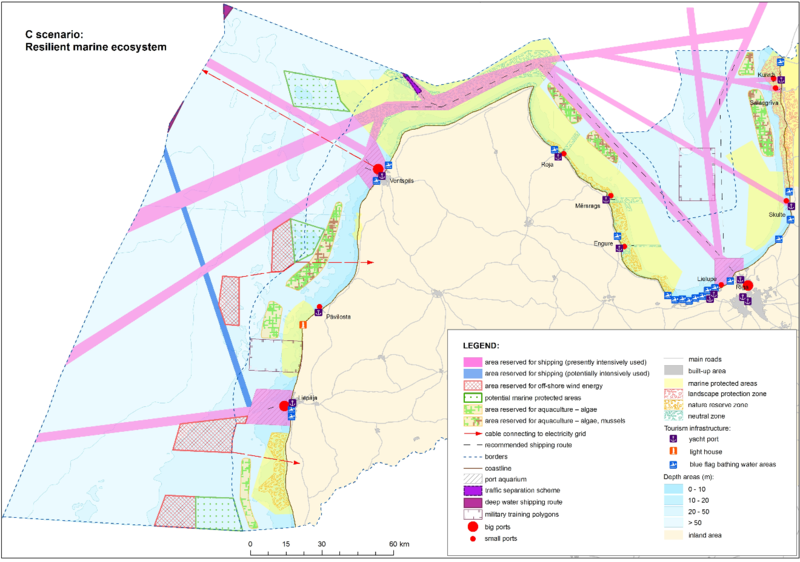 4 scenarios, describing narrative story line and characterising parameters, which were used as an important tool for stakeholder consultation and, subsequently, streamlined to develop an optimal allowed sea use solution acceptable for various stakeholders and society. Mapping of four scenarios based in relation to the main beneficiaries has been taken place to visualise the possible output. The methodology can be applied in other MSP processes.